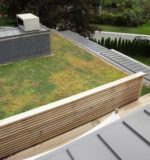 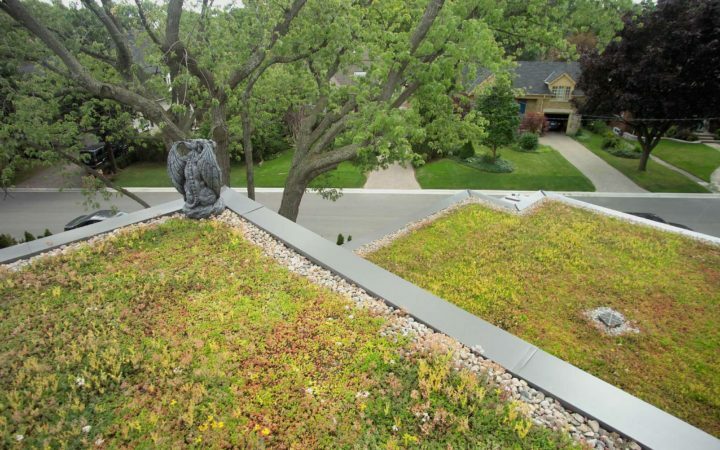 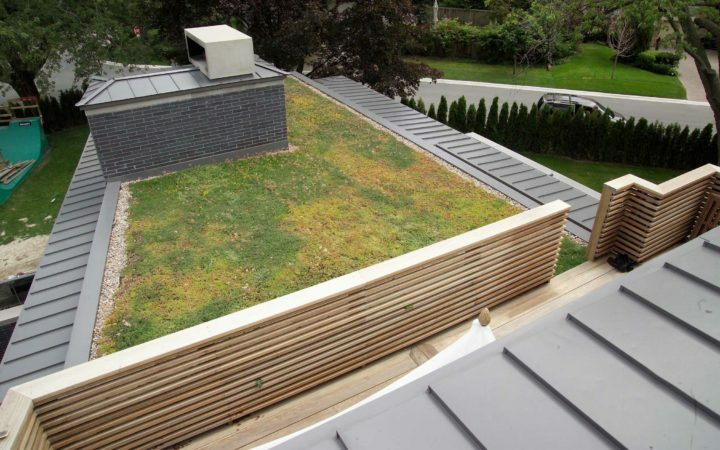 This private residence has been featured in numerous magazines for its state-of-the-art sustainable design featuring geothermal heating, solar energy panels and their extensive green roof covering three levels of rooftops. 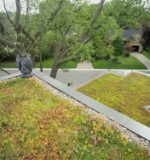 The green roof has improved the building’s energy performance, air quality, stormwater retention and overall building aesthetics. 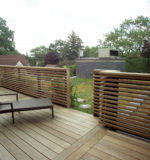 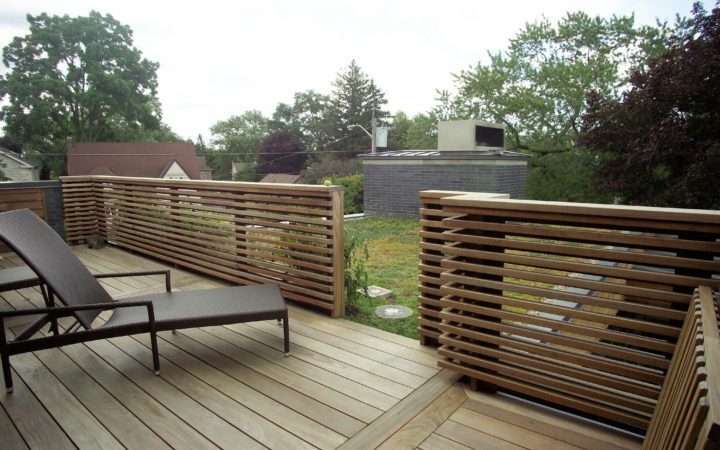 The family enjoys a small vegetable garden on the rooftop, as well as a pleasing view of the green roof from their patio deck.